Explore techniques of traditional Japanese resist dyeing. Learn binding, stitching, and pole wrapping techniques. Experiment on cotton and silk cloth, make one finished silk scarf and cotton yardage perfect for your own fiber work like quilting or other sewing projects. Indigo - Indigo is a natural blue dye derived from the plant Indigofera tinctoria and other pigment bearing species. Indigo has been used as a colorant for nearly 5,500 years. The dye is extracted from the leaves through a lengthy process of soaking and fermentation, drying and grinding. When the cloth or fiber is removed from the dye vat it changes, as if by magic, from yellow-green through green and turquoise to blue. Multiple dips in the dye vat are required to create dark shades. Bring a bag lunch and scissors, beverages and snacks provided. Amelia Poole holds a degree in Textile Design and Construction from the Surrey Institute of Art and Design, Farnham, Surrey, UK. 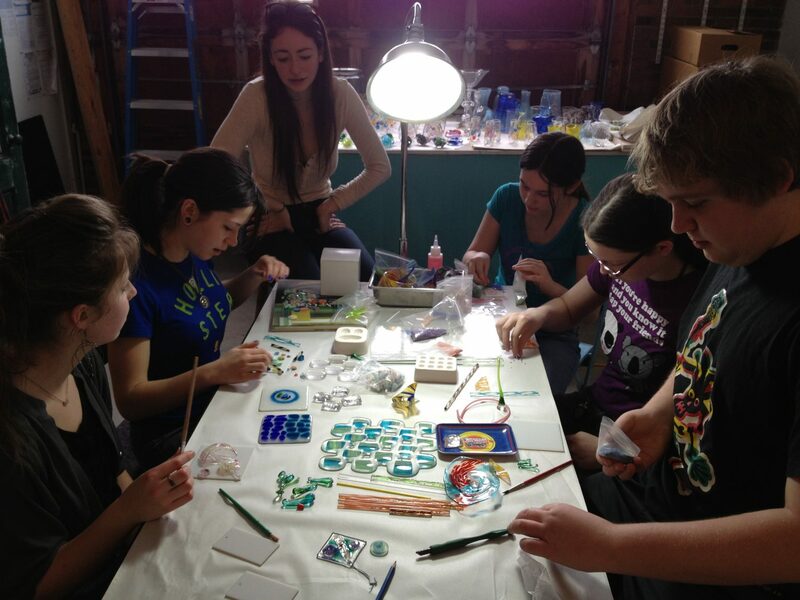 This workshop is generously supported by the Maine Community Foundation, Maine Expansion Arts Fund. Scholarships are available please submit a letter to request assistance based on need and interest in the workshop to artsworthstudios@gmail.com by Jan. 29th. to be considered. 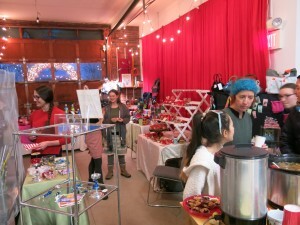 Our second annual Casanova Marketplace will feature work by local artisans. 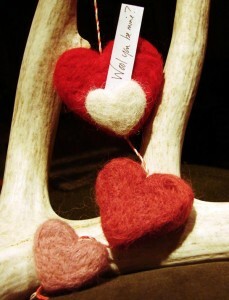 Stop in to buy a last minute gift for someone special or a treat for yourself. 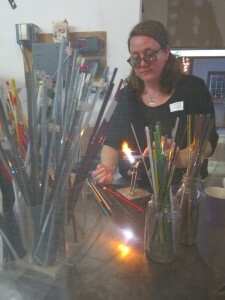 We will also be doing glass heart demonstrations in our hot glass studio. Stay tuned for more information! On February 19th, Artsworth will be hosting guest lecturer Tom Ferrero for a free presentation about him and his work as a metal artist and jeweler. 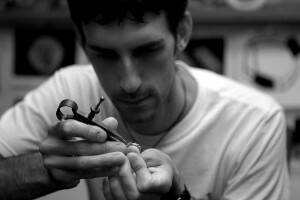 Tom is a metal artist and Assistant Professor of Jewelry at Nova Scotia College of Art & Design in Halifax, Nova Scotia. He is also the Department Head of a metal arts program at Camp Laurel in central Maine where he has taught students ages 7-70. He is a first place winner of the Niche Award and the International Saul Bell Design Award Competition. 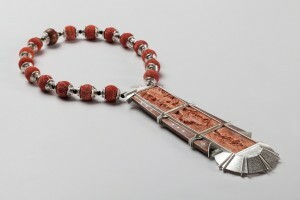 He has also been featured on the cover of Metalsmith Magazine and is published in several jewelry books. Tom’s lecture will discuss his work, process, and approach to design and construction. 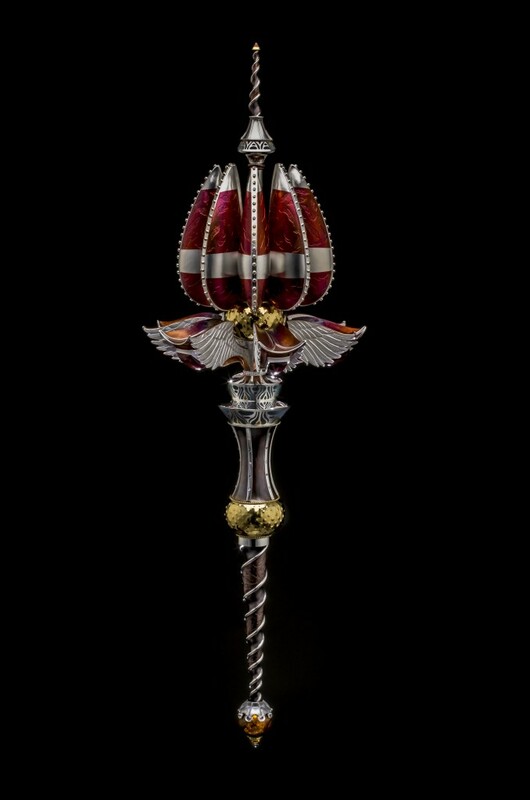 He will discuss his early work and its development with a special emphasis on his latest work, The Mace. We are working with Tom to organize metalsmithing workshops at Artsworth in the future. If you are interested in taking a workshop with Tom someday, this lecture would be a great opportunity for introductions to him and his work. 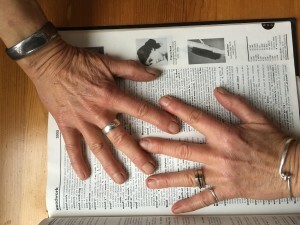 This one-day, multi-media workshop is designed for visual artists and makers of all kinds-including writers- who want to explore this work in image, memory, and words. Each participant needs to bring the following materials: (1) a notebook or journal to write in; (2) a pen or pencil to write with, (3) a pair of scissors, (4) an example of your work (portable, not enormous), and (5) a readiness to see and hear what you make freshly. Workshop limited to 12 participants. All skill levels (in your craft and in words) welcome. Time will be allotted for lunch, feel free to bring a bag lunch to enjoy in the studio, or to go with Candice on a short walk to main street in Ellsworth where you can purchase yourself a tasty lunch at 86 This or Flexit Cafe. Candice Stover is a poet and teacher who designs and facilitates workshops in writing and literature focusing on discovering who we are in words. Her workshop experience includes the voices of children, decades of courses for college students, two years in Shanghai, three published collections of poetry, and continuing work with a women's writing group she began in 1992 on Mount Desert Island where she lives. Winter is the perfect time for this inwardly-focused art form. The design of the mandala is meant to be visually appealing so as to absorb the mind in such a way that chattering thoughts cease, and a more philosophic essence envelops the maker. 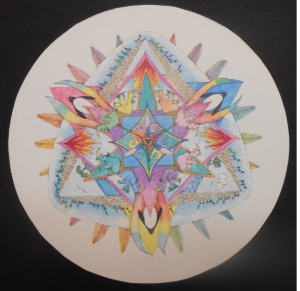 In this workshop, you will learn the technique of setting up a mandala, a bit of its history and how to make this type of radiant drawing. 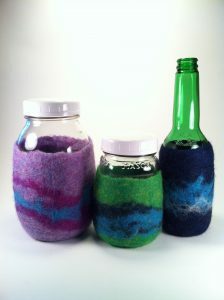 No art experience is required, and all materials are provided. Lunch not included, but snacks will be provided. Susan Aripotch has drawn all her life, and in 1995, she invented the mandala, or thought she did. Many mandalas later, she learned that countless others had been experiencing their magic for eons. She has welcomed hundreds of children and adults into the self-revealing world of making the circle in workshops such as this. Music by Chamberlain- March FORTH! 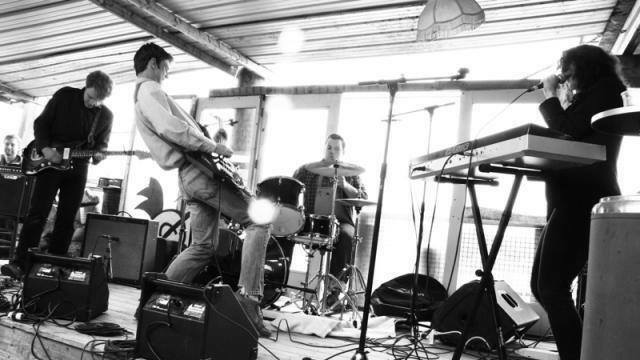 Come hear some rad music by Adam Goode bass player, vocalist Kat Johnson, drummer Ryan Tipping-Spitz, and guitarist Christopher Dodd. According to Emily Burnham of the the Bangor Daily column, Culture Shock- "stomping indie garage-rock, with a bit of a fuzzy, noisy, Sonic Youth-esque edge thanks to Dodd’s stellar guitar work full of zooming, distorted solos, and a punk rock flair via Johnson’s channeling of vocalists like Karen O of the Yeah Yeah Yeahs and Patti Smith. It's an opportunity to shake the winter blues off, move your groove thang and support your local arts hang out! No cover charge, but donations of a couple bucks are encouraged and appreciated. The goal of this workshop is to leave with a basic, functional website that you can keep up-to-date and grow over time. Participants can expect to learn the different components of a website and how they work together, how to make pages and blog posts, customize your website's appearance, add features to your website (contact forms, image galleries, and more), track your website data, and understand ecommerce. 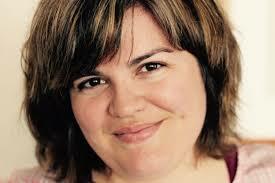 The workshop fee includes a domain and one free year of web hosting. 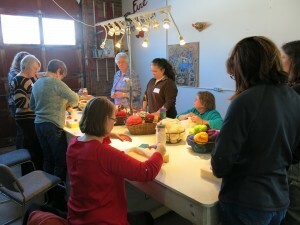 This is an active workshop so be ready to work on your site! work with, the better your website will be at the end of the day. of some of my favorites. Call 207-664-0222 to reserve a spot! Please join us on April 9th for an evening of wining and dining, dancing, and a silent auction to benefit Maine organizations in need. All proceeds will be split between Artsworth, The S.P.C.A. 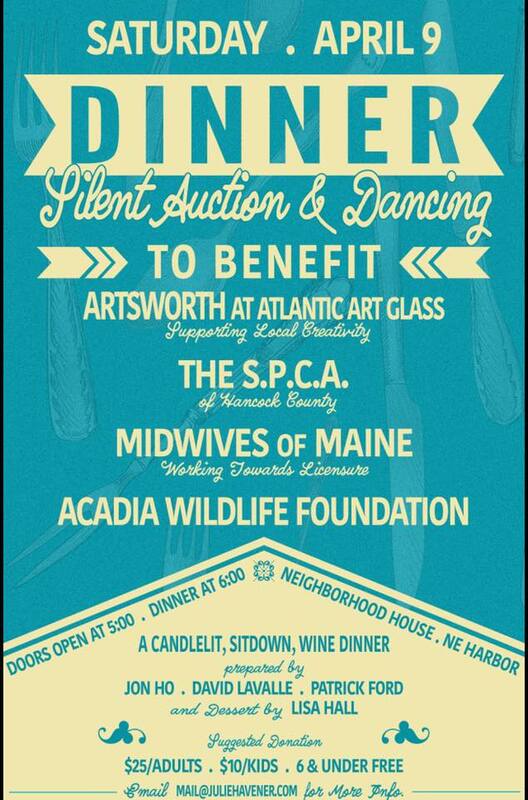 of Hancock County, Midwives of Maine, and the Acadia Wildlife Foundation. If you would like to buy tickets in advance, volunteer at the event, or donate an item to the silent auction, please contact us at 207-664-0222 or artsworthstudios@gmail.com or email Julie Havener at mail@juliehavener.com. If you are unable to attend, but would like to make a monetary donation to Artsworth please click here. Age Restriction: 14 years or older, under 18 accompanied by an adult. 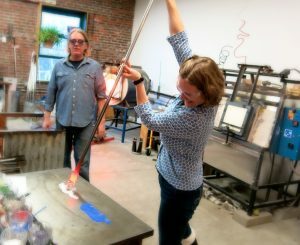 This experience allows you to work with hot glass up close, while staying on the cool end of the glassblowing equipment at all times. You'll start by choosing the glass colors you want to use in your ornament, and then partner with our professional glassblowers to create it. 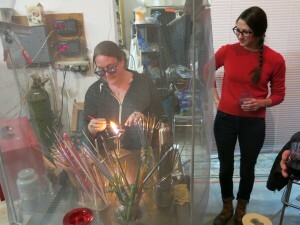 You will shape the ornament by blowing air through the moving blowpipe as the glassblower guides the glass with special tools. After you and the glassblower have shaped your ornament, it is removed from the blowpipe, a glass loop is added and it is placed in an oven to begin an overnight slow cooling process. Ornaments are ready for pick up the following week or may be shipped for an additional fee within the US and Canada. Call 207-664-0222 to register. You will be scheduled to arrive during a one hour time slot. When you get to our hot shop, please check in at the front counter. There you will receive some information on color choices and we will verify any payment info you may have given us to reserve your spot. You can expect to spend about an hour in the shop, as we give you a safety orientation and make our way to your turn. Making a blown glass ornament is a swift process (only about 15 to 20 minutes). The glass maker must work with the blower (you) to both expand the glass to its largest and thinnest capacity while also squeezing it to create the very smallest of openings at the crack off point of the blow pipe. By its very nature, making an ornament happens quickly but it is so memorable and dramatic! 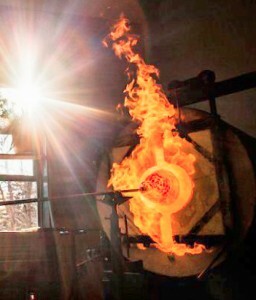 It's the perfect introduction to how hot glass works. For the second year in a row our annual Fire Gathering will feature a pop-up marketplace. 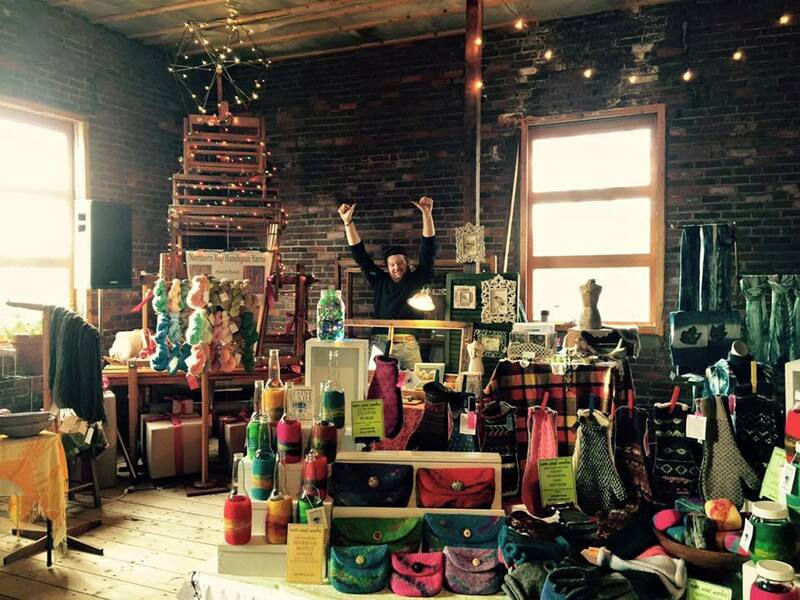 Local artisans will sell handmade fine arts and crafts and specialty foods from 10 to 5. This is a great opportunity to get last minute Holiday gifts for a loved one, or something for yourself. For the 7th year, we open our doors and welcome you to an event full of fiery energy and creativity. 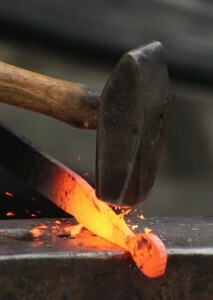 As always, there will be glassblowing, blacksmithing, and torchworking demonstrations happening all day. Come warm yourself by our fires and welcome the winter with us.